KINGSTON, Jamaica — The 2019 Jamaica Carifta Trials will get underway on Friday at the National Stadium, but a few of the nation’s top juniors are set to skip the meet. The event will start at 4:30 p.m. today with the shot put events for Under-17 and Under-20 girls, while the action on the track is scheduled to start at 5:00 pm with the 400m heats. Several of the island’s coaches posited that the just concluded High School Boys and Girls Champs 2019 could have been used to select the larger part of the teams, which would have given some of the athletes more time to recover. 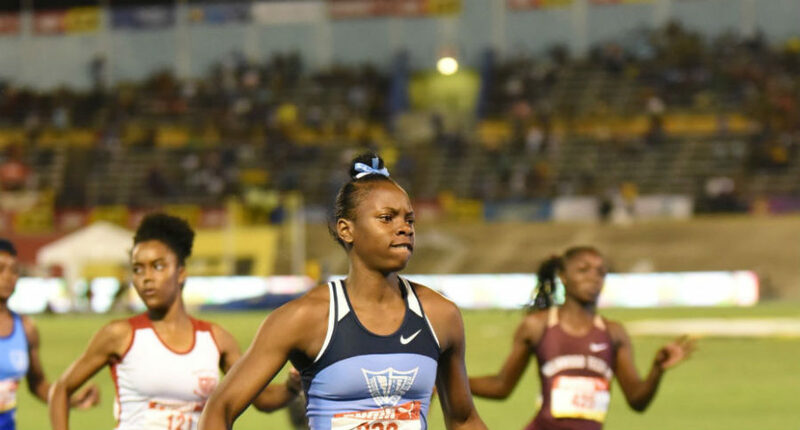 Headlining the list of Champs 2019 stars set to miss the Carifta Trials on the girls’ side are Edwin Allen’s Kevona Davis, her schoolmate Rushana Dwyer, as well as Hydel High’s Ashanti Moore and Charokee Young. Davis, who ran with precautionary tape on her thigh during the 200m final, retained her Class Two sprint double at Champs 2019, but was pulled from the sprint relay. Her coach Michael Dyke said she is healthy, but will be rested. “She ran six races over the course of the championships and faced the prospect of four more races at the trials,” Dyke was quoted as telling Sportsmax.TV. “She is tired and needs to get some rest,” Bennett told Sportsmax.TV. Meanwhile, Petersfield High’s Antonio Watson could miss the trials as he continues to recover from a niggle. Watson, who didn’t show up for the 200m and 400m finals at Champs has been complaining of soreness in his hamstring and did not train this past week. Holmwood Technical’s Michae Harriott and Kingston College’s Terrique Stennett were not entered. At the same time, though, the three-day trials will see the likes of Briana Williams, the IAAF World Under-20 double sprint champion, Calabar’s Class One Champs 100m champion Oblique Seville, as well as Edwin Allen’s Clayton twins, Tia and Tina all down to take part. Kingston College star man Wayne Pinnock, who set records in the Class One boys long jump and 110m hurdles, is also set to take part, along with Calabar High pair of Cobe Graham and Kai Chang and Petersfield High’s Christopher Brown, who will compete in the Under-20 boys shot put. The Trials will select the Jamaican team to the 2019 Carifta Games, which will take place from April 20-22 at the Truman Bodden Sports Complex in the Cayman Islands.